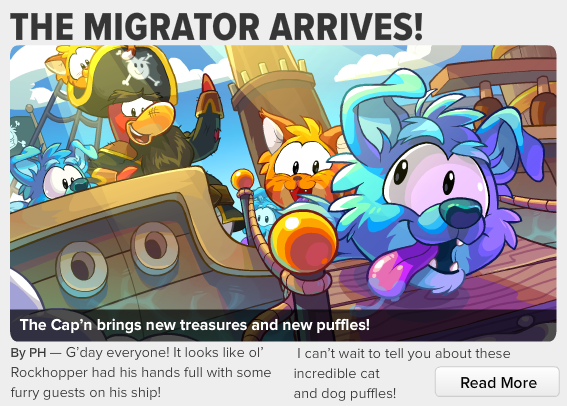 The first article in this week's newspaper talks about Captain Rockhopper arriving on the Club Penguin island! 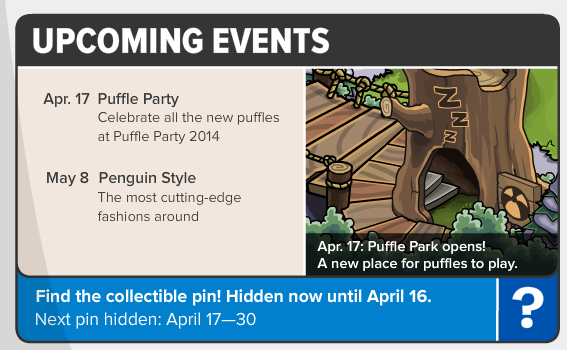 PH reminds us in the article that we'll be able to see and adopt the new puffles next week during the Puffle Party 2014. 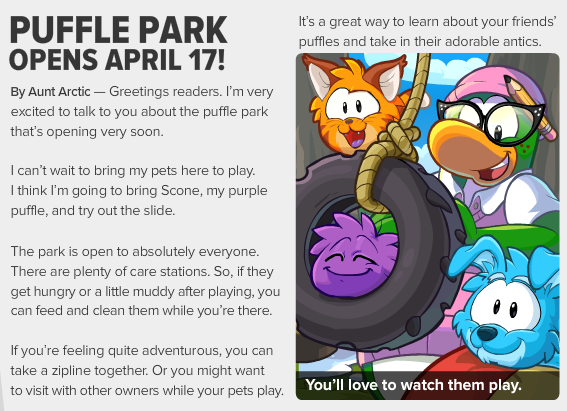 The second article in this week's newspaper talks about the Puffle Park opening on April 17. Aunt Arctic let's us penguins know that we'll love the new puffles! Are you excited to adopt the dog and cat puffles? April 17 - Puffle Party - Celebrate all the new puffles at Puffle Party 2014. May 8 - Penguin Style - The most cutting-edge fashions around. I'm so excited for the Puffle Party! I can't wait to celebrate with all the new puffles! Are you excited for the Puffle Party? Leave your comments below!